In Part 2 of this series we looked at the notion that carbohydrates should be avoided at night and demonstrated that this particular law of fitness has some sizeable holes in it. At the end of Part 2 it would have been clear to many readers that the timing of when we consume nutrients can have a bigger role in our fitness efforts than commonly assumed. While 24hr day calorie intake will trump other variables governing body composition changes in response to nutritional changes, the influence of nutrient timing has recently come under more attention. Do Our Body Clocks Influence Our Body Composition? At the end of Part 2 we mentioned that we would explore the research on a previously ignored front - the effect of circadian rhythm on our bodies. Circadian rhythms - what are they? Circadian rhythms are biological processes which show fluctuations in correspondence with a 24hr cycle. We often hear the phrase “Body Clock” used by the lay public to denote the belief that their cravings for particular foods or when they feel sleepy are governed by circadian rhythm changes. Circadian rhythms are not fixed in time but can be adjusted by a number of factors of which daylight is the most important. Examples of circadian rhythms include both the obvious such as how and when we feel sleepy but also changes in different hormones over the course of the day. If you have ever heard that cortisol is highest in the morning along with testosterone and both hormones show a decline through the day, then that is but one example of a circadian rhythm in the human body. Why are circadian rhythms important to us? If, like most people, you rise early in the day, you will exhibit a consistent pattern of hormonal release through the day with light acting as a key signal prompting your body to secrete hormones to wake you up such as cortisol and adrenaline, as well as hormones which will promote tiredness and somnolence, melatonin being the major player here. Melatonin is a hormone produced by the pineal gland in your brain which will induce you to feel sleepy at the end of a long day. However, it is a fairly mild hormone whose effects can be overridden when an individual is exposed to a lot of artificial light, with the type of blue light used in iPad and mobile phone displays being particularly bad for causing sleep disturbance(1). As we have discussed previously in our article on sleep, lack of sleep will cause negative hormonal adaptations that rob you of your hard earned muscle gains making it important that we sleep enough but is it just a case of how much we sleep or how we sleep that matters? We have already seen how nutrient timing can affect body composition in part 2, but with circadian rhythms regulating a vast array of different body functions in the body ranging from hormone levels, to regulating cellular and physiological functions in both central and peripheral tissues in the body, their impact on the body is likely to be much greater than previously thought. A recent paper(2) by Froy et.al, set out to investigate the connection between our circadian clock and metabolism, as well as exploring how it is influenced by hormones, nutrients and meal timing. The authors came from a background of wanting to see why obesity continues to be a growing public health concern despite all the resources poured into combating it, stating that the disruption of circadian rhythms can lead to metabolic disorders. In humans, similar to most mammals, the authors state that physiological systems including sleep-wake cycles, endocrine activity, blood pressure, and body temperature are all regulated by the circadian clock. You may be wondering how this relates to weight gain. The answer is that both central and peripheral tissues are governed by the circadian clock. To better understand how this works in practice take a look at figure 1 below. Fig 1. Control of the circadian clock over peripheral tissues. Light resets the suprachiasmatic nuclei (SCN) via the retina. The SCN then dictates entrainment of peripheral tissues and physiological system via humoral factors or autonomic innervation. As a result, tissue specific hormone expression and secretion and metabolic pathways exhibit circadian oscillation. What all the above really just means is that the body is entrained by light and food to have a particular circadian rhythm which in turn influences the body’s tissues including our fat and muscle cells via the interplay of hormonal and nervous system activity. A number of hormones which are important for body composition show a diurnal rhythm meaning a distinctive pattern that occurs on a daily basis. These include such well known hormones as leptin, insulin, cortisol, testosterone, neuropeptide Y, ghrelin, growth hormone and many others besides. What this all means is these hormones and peptides are all under the control of our circadian clocks. Leptin is one hormone which has been called the master hormone by some, which has control over such downstream hormones as testosterone among others. When leptin levels are high appetite is suppressed and metabolic rate is high leading to enhanced burning of body fat. We discussed the benefits of an approach aimed at harnessing the power of leptin previously in our article dieting without losing muscle mass. Leptin exhibits a notable circadian pattern with peaks occurring during sleep. However, when the SNC is removed meaning the sleep-wake cycle is disrupted, leptin circadian rhythmicity is removed. This means that if you disrupt natural circadian patterns you effectively decouple your body’s leptin production from its normal function, which will lead to a drop in metabolic rate, increased appetite and increase in bodyfat. We will talk about the effect on body composition and health of a disruption in our circadian clocks but does the process work in reverse? In other words, while we know that lack of sleep to name one example can cause a negative hormonal state increasing our risk for obesity, can what we eat affect our circadian clocks? Interestingly, research has shown that nutrients including glucose(3), caffeine(4) and amino acids(5) can all shift our circadian rhythms, as well as hormones such as insulin(6) (produced in abundance when you consume a carbohydrate rich meal). These insights will be useful when it comes to our recommendations at the end of this article. We saw in figure 1 above that feeding regimens can influence circadian rhythms. For anyone wanting to get in better shape this section touches on some of the theories out there relating to meal frequency and patterns of eating which are popular in the bodybuilding sub-culture. Research has shown that limiting the availability of food to specific periods (restricted feeding) can override the impact of light and entrain the circadian rhythm to the feeding time(7)(8). Proponents of intermittent fasting have previously cited research supporting their view but the evidence that feeding patterns can entrain the body to a new style of eating are supported by the research on how feeding impacts circadian rhythms. 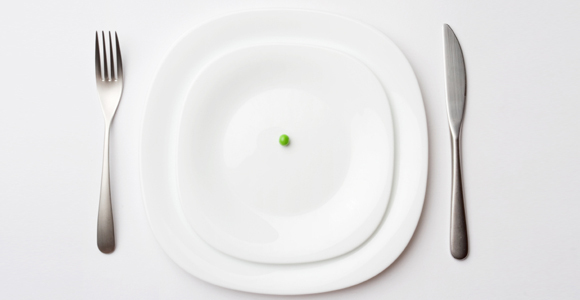 Let’s now look into more detail at intermittent fasting. Intermittent fasting refers to dietary regimes which incorporate a fast where no nutrients are consumed followed by a period of eating. Technically every time we go to bed we are fasting which is why the term breakfast was coined denoting the breaking of our night time fast. Intermittent fasting takes this a step further by extending the fast a specified period of time which can vary from a few extra hours every morning to, at the extreme end, fasting for several days.In this respect intermittent fasting is not dissimilar to the type of fasting which some religions advocate.The main difference between intermittent fasting and the type of fasting muslims perform during Ramadan is that adherents of intermittent fasting will usually freely drink water and very low calorie beverages such as black coffee and diet soda drinks during their fast. In the Froy paper intermittent fasting is more narrowly defined as every other day eating. This is just one of the many forms of intermittent fasting that are growing increasingly popular among some bodybuilders. In experiments on mice, those on an IF schedule eat roughly the same number of calories over a 48hr period as those on normal dietary regimens. The difference being they eat all their food in one 24 hr time period. Lending support to the pro-health arguments made by IF advocates, the mice on the IF exhibited increased lifespan(9), improved glucose metabolism(10), increased neuro(11) and cardio-protection(12), and increased resistance to cancer(13). We can entrain our bodies to adapt to our eating patterns. There is a growing body of evidence to show that intermittent fasting can have potent health benefits similar to research on calorie restriction showing benefits for increased lifespan. For those with symptoms of metabolic syndrome, insulin resistance and health problems, intermittent fasting could be a good option. We have discussed how carbohydrates and amino acids can impact on circadian patterns but what about fat intake? Given the increasing popularity of low carb and high fat diets in the media it is pertinent to note that in one study they had a minimal effect on circadian rhythms while being linked to an increased risk for negative health consequences(14). Interestingly enough research on rats has shown that supplementing with melatonin can help to lower the rate at which weight is gained when consuming a high fat diet. As a hormone associated with helping to induce sleep, it shows how sometimes careful supplementation can help to counter the negative effects associated with disordered eating styles. We’ve already seen how shift workers tend to have an increased risk for obesity. Just today, as I write this article a new study(15) has come out which showed that when food is eaten in what is normally our sleeping period, a greater proportion of it used as energy storage, or body fat. The mice in this study became more obese without consuming more calories. The researchers discovered that when the normal circadian clock that drives appetite was disrupted it favoured food consumption at an inappropriate time. In humans, this would mean favouring food intake at night time when we are supposed to be asleep. Interestingly, the researchers discovered a link between a disrupted circadian clock and how EPA and DHA was secreted into the bloodstream. 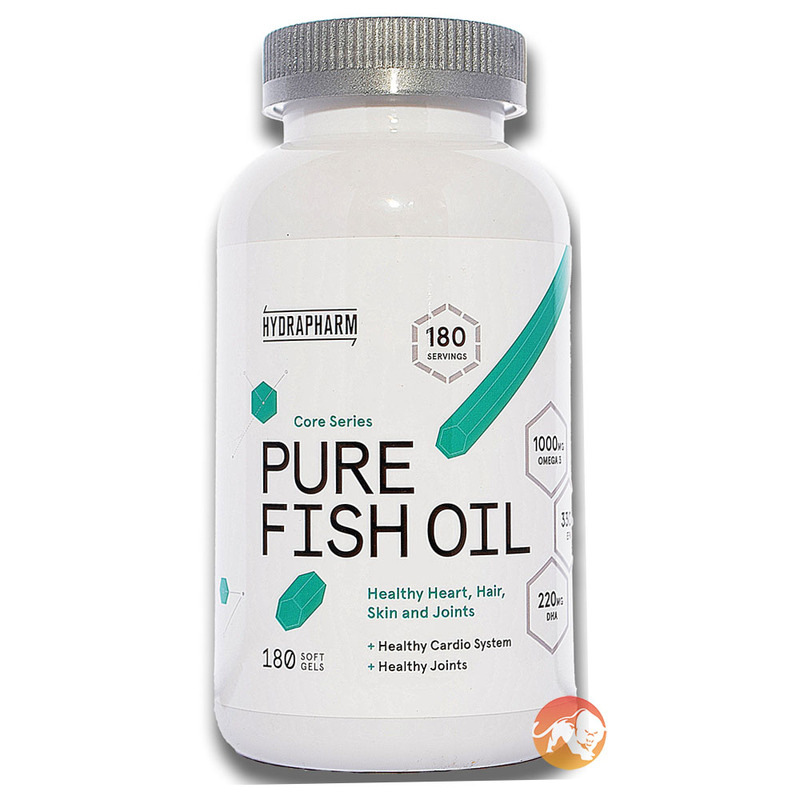 By supplementing with EPA/DHA (the essential fatty acids in fish oil supplements) the researchers were able to rectify the malfunctioning physiology which led to obesity in these animals. When you eat can influence the amount of weight you gain even if calories are the same. Humans should avoid night time eating as a general rule but supplementation with fish oil can help to obviate many of the damaging effects of nocturnal eating patterns. We discussed the hormone leptin previously and how it exerts a powerful effect on how much weight and fat we gain both directly, and via its effects on other hormones. Research on sheep(16) has demonstrated that a shorter day is associated with lower leptin levels/increased level of blood triglyceride levels, and that longer days are linked to increased activity of fat promoting enzymes. Taken together this shows that leptin levels are linked as much to circadian rhythms as they are to things bodybuilders can control such as carbohydrate intake and body fat status. This is a bit dense to understand so let me explain in a way everyone can understand. When dieting it means the body is better able to mobilise body fat for fuel when the days are short. If we think of this from an evolutionary perspective, during winter days our ancestors would not be able to source the same quantity of food as normal making it necessary for the body to mobilise stored body fat to help provide energy. In the same study, blood triglyceride levels were higher for the animals exposed to longer days which means their bodies were less good at utilising fat as a fuel source. The second big takeaway from this is that when the days are long there is a greater potential to gain body weight. Our ancestors would have eaten more when the days were longer making our fat storing machinery ramp up to help provide us with the layer of body fat needed to survive a winter. If we consider bears which hibernate can lose over a 1/3 of their bodyweight during winter we can see why this pattern would exist. As a horror movie fan I grew up terrified of sleeping after watching one Freddy Krueger film too many. 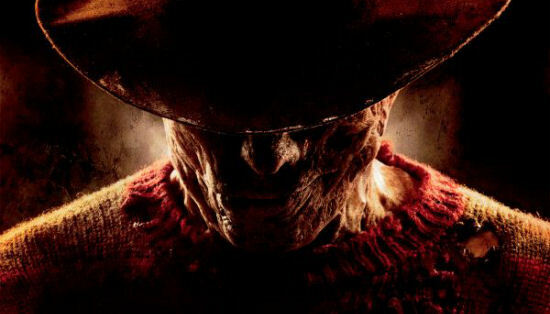 Freddy was a demonic serial killer who would kill you in your sleep. No doubt he caused nightmares aplenty and made a lot of us stay awake late in the day but little did I realise that this put my body into a full blown catabolic hell. Short sleepers have reduced levels of the appetite suppressing hormone leptin, increased levels of the hunger promoting hormone ghrelin, and increased appetite and hunger(17)(18). Any time that we work under light, especially harsh artificial light, we suppress the body’s production of melatonin which makes getting to sleep difficult and can also lead to an increased risk of sleep disturbances such as nocturnal waking. Shift workers have a higher risk of obesity(19), metabolic syndrome(20), and sleep more poorly(21), as well as disturbed cortisol release(22). In addition, shift work has been linked to impaired glucose management(23) which is of particular interest to bodybuilders who are concerned with how effectively they partition nutrients as poorer glucose management is linked to more difficulty in getting lean. Finally, obesity itself can have a negative effect on sleep quality with it being associated with a reduction in REM sleep which is critically important(24)(25) for producing a restful sleep. Do not work late into the night under artificial light and avoid using your mobile phone, iPads, or laptops at night time to avoid disturbing your sleep and causing a catabolic environment for your body. We have reviewed how important the circadian clock is on sleep-wake cycles, how our metabolisms function, endocrine function, and on appetite and feeding patterns which are the end result of the confluence of everything else. The modern lifestyle where we see people failing to eat and be active at the appropriate times, often stay up late into the night and eat the wrong foods at the wrong time has been shown to cause everything from the relatively trivial such as weight gain, to accelerating the onset of life threatening diseases. As athletes we can often assume the only thing that matters is what we do in the gym and the food we eat outside of it, and assume this acts as a shield to protect us against the harmful effects associated with this lifestyle. The reality is that our bodies operate on the same basic principles as everyone else’s and no matter what we do we cannot override our basic biological programming. To attempt to do so by burning the candles at both ends will destroy your ability to fulfil your potential long before you reach the peak of physical condition. This article is probably among the most in-depth and complicated on the Predator Nutrition website so for all those who just want the important messages which they can incorporate into their lifestyles we offer the following. •Try to perform most activity during the day. Even if you have an office job walk around and be as active as much as you can. • We can use nutrients to manipulate circadian rhythms with carbohydrates and amino acids being best used to reset our body clocks. • Intermittent fasting can be used to elicit positive health adaptations. They would be particularly suitable for shift workers. • Avoid shift work if you value your health but otherwise consider IF as route to manage some of the negative health consequences. • High fat diets are best avoided. • Eating food when we should be sleeping is associated with greater fat storage independent of calorie intake. • Contrary to what you think you may find it easier to diet in winter. 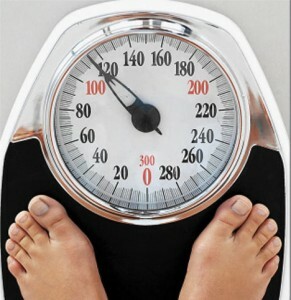 • Avoid getting fat as it can negatively impact sleep quality. • Avoid bright screens such as mobile phones, laptops and tablets once it gets dark. • Avoid stimulants at night. 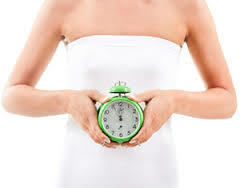 • Ensure you sleep for a minimum of 8 hours every night and avoid staying up late. 1. West KE et.al (2011): Blue light from light-emitting diodes elicits a dose-dependent suppression of melatonin in humans. 3. Stephan FK, Davidson AJ (1998): Glucose, but not fat, phase shifts the feeding-entrained circadian clock. 4. Antle MC et.al (2001): Adenosine and caffeine modulate circadian rhythms in the Syrian hamster. 5. Iwanaga H, Yano M, Miki H, Okada K, Azama T, Takiguchi S, Fujiwara Y, Yasuda T, Nakayama M, Kobayashi M, Oishi K, Ishida N, Nagai K, Monden M (2005) Per2 gene expressions in the suprachiasmatic nucleus and liver differentially respond to nutrition factors in rats. 7. Schibler U, Ripperger J, Brown SA (2003) Peripheral circadian oscillators in mammals: time and food. 12. Ahmet I, Wan R, Mattson MP, Lakatta EG, Talan M (2005) Cardioprotection by intermittent fasting in rats. 13. Descamps O, Riondel J, Ducros V, Roussel AM (2005) Mitochondrial production of reactive oxygen species and incidence of age-associated lymphoma in OF1 mice: effect of alternate-day fasting. 14. Yanagihara H, Ando H, Hayashi Y, Obi Y, Fujimura A (2006) High-fat feeding exerts minimal effects on rhythmic mRNA expression of clock genes in mouse peripheral tissues. 18. Spiegel K, Tasali E, Penev P, Van Cauter E (2004) Brief communication: sleep curtailment in healthy young men is associated with decreased leptin levels, elevated ghrelin levels, and increased hunger and appetite. 19. Zhao I et.al (2012): The effects of shift work and interaction between shift work and overweight/obesity on low back pain in nurses: results from a longitudinal study. 20. Taino G et.al (2011): Metabolic syndrome and shift work: study of the relationship in workers of a chemical plant. 21. Sadeghniiat-Haghigi K et.al (2008): Efficacy and hypnotic effects of melatonin in shift-work nurses: double-blind, placebo-controlled crossover trial. 22. Anjum B et.al (2011): Association of salivary cortisol with chronomics of 24 hours ambulatory blood pressure/heart rate among night shift workers. 23. Qin LQ, Li J, Wang Y, Wang J, Xu JY, Kaneko T (2003) The effects of nocturnal life on endocrine circadian patterns in healthy adults.